On Thursday, November 10, 1988, Prince brought his “Lovesexy ’88” tour to Oakland, California. My friend, Darren, and I secured our tickets two months earlier by sleeping outside of a Warehouse record store in downtown Oakland. 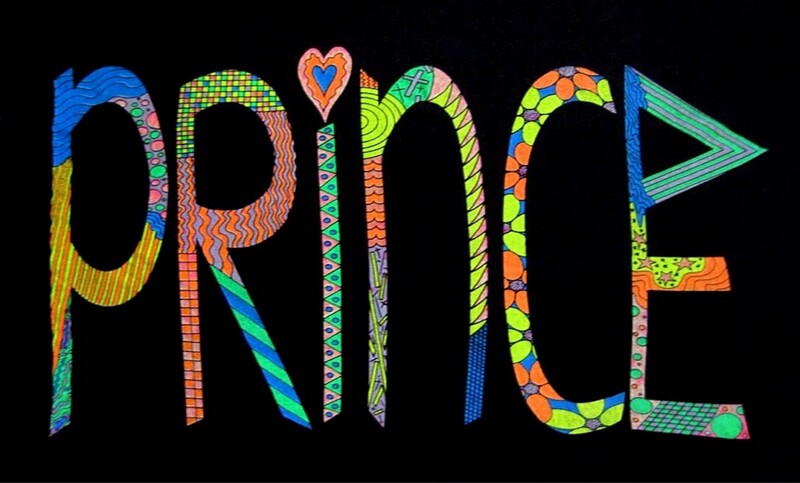 Back then, camping out for Prince tickets was what you did if you wanted good seats (or get in at all). But after what happened to me in the days leading up to the concert, I could have cared less about those tickets. I first learned about the late-night Prince concert while listening to the radio before school. The announcement was sparse: a Midnight concert takes place at San Francisco’s Warfield Theatre after his Oakland Coliseum engagement; tickets go on sale in two days. The implications were astounding. I’d read about these “surprise” aftershows in my copies of Rolling Stone and Spin; there was no telling what songs Prince would play in these smaller venues: covers, rarities, even music the public has never heard. Also, Prince aftershows were reported to be scaled down from their highly produced and orchestrated arena counterparts, lending to a more relaxed performance. And most importantly, I would be a legend if I attended. But one, insurmountable problem faced me: I was a 17 year-old high school junior. And according to the radio, I needed to be 21 to buy tickets (with proper I.D.) and get inside (also with proper I.D.). It looked bleak, and I sulked most of the day. At school, I cornered Darren in the hallway as soon as I saw him. Both of us knew this was easier said than done. Still, the larger, central problem of getting inside was solved. We just needed to figure out a way to buy the 21-and-over-with-I.D. tickets. With eyes wide, I pulled the narrow clasps foreard to open the envelope. Inside was a black TDK SA-90 cassette tape. Handwritten in purple felt-tip ink, the label read: Prince ~ The Black Album. …who would gladly buy 21-and-over-with-I.D. Prince tickets for me if I gave them a copy of my crystal-clear cassette. I immediately phoned Darren. After demanding his own copy of my tape, we re-worked this new advantage into a plan: I leave now to (yet again) camp outside an out-of-the-way Ticketmaster location. Then tomorrow morning, while I’m at the front of the line, Darren would find someone further back to take my place and buy our tickets. We’d use the tape as further incentive as needed. An hour later I was dropped off at a Rainbow Records in a lonely strip mall, armed with a lawn chair, blanket, three layers of clothing, and my Walkman. There was no one else in sight. Darren was shouting at me. In a stupor, I shifted suddenly in the lawn chair, the blanket sliding to the pavement. “The store’s open?” I said, shielding my eyes from the daylight. Still groggy, I collapsed the chair, pulled the blanket under my arm and dropped the items in the trunk of his car. That’s when I saw that no one else was in front of the record store. We went for breakfast (school wasn’t going to happen); it gave us a chance to sit and think. If there was no long line outside the store, then there wasn’t much leverage. I still had my Black Album tape, but that might not be compelling enough by itself. Especially if we drew attention from the staff by hawking a tape to their patrons. With little more than an hour before ticket sales, Darren felt I should go it alone. “I’ll drop you back. At least you can scout it out and maybe talk to somebody.” I reluctantly agreed. There was still no activity outside and very little foot traffic inside the small Rainbow Records. As I perused through the aisles of music, my mind raced to come up with something to salvage the plan. These past two days weren’t chance, but fate. Without saying it, Trisha Weaver offered me something more than an unreleased Prince album and an invitation to a concert. She was giving me access to Prince himself. This was a million-to-one shot, and I had nothing. “We’ll start a line going for Prince,” announced a clerk from behind the counter. And that’s when it happened: he was a fan. I unclipped my Walkman, inserted the tape, and handed the headphones to Ticketmaster Guy. His eyes widened once I pressed PLAY. Soon, I pressed STOP. Then FAST FORWARD. Then PLAY. I produced the small, familiar-looking Ticketmaster envelope. In the early hours of November 11, 1988, standing outside the Warfield Theatre in San Francisco, my best friend decided he’d had enough. I couldn’t blame Darren. It was cold, he was tired, and this looked like a lost cause. What did it matter that we had Prince aftershow tickets if we couldn’t get past the front doors? Admittedly, it was a fool’s errand from the beginning when we first learned of the surprise concert. We never thought we could actually go. But everything changed in a few day’s time. And now, the reality was that despite a series of impossible events, being born four years too late meant that we were outside the Warfield and Prince was inside. Things were fine just a few hours earlier, however. Darren and I left the Oakland Coliseum with Trisha and her husband after his Lovesexy tour concert. The plan was to stop at their house (we did), have a snack (we didn’t), then head to San Francisco where we’d all enter at the rear of the Warfield around 12:45 in the morning. But while at her home close to Midnight, Trisha Weaver yawned. And from there it all unraveled. Trisha swung both legs onto the couch. “I know… but I have to work tomorrow, and we just saw Prince twice in L.A.,” nodding toward her husband. I frowned and looked down at my arm. The “wristbands” were these teal-colored plastic bands — similar to what you’d get at a club confirming you were old enough to drink. There was a fuchsia “Lovesexy ’88” logo across the center. Darren and I looked silly wearing them, but she gave them to us earlier, so we we put them on. “Just go to the stage door, give them my name, and tell them you’re my guests. You’ll be fine.” And with that, Trisha Weaver was in for the night. The greeter at the Warfield stage door had put up with us for about five minutes longer than his patience probably allowed. For a second, though, I thought we’d get through. But now we were forced to deal with the main entrance. The Warfield Theatre is a 2300-seat downtown venue with an open floor, bar, and a balcony with theater-style seats. It was one in the morning and the line still wrapped around the building. When we finally got to the front, I held out my ticket and I.D. like everyone else had before me. Darren said nothing, which was good. One voice. One story. And considering that only paperclips kept my composure together, I was doing all right. Big Guy took a moment’s mercy and gave me his full attention. He looked at me hard, then at Darren. He went inside the theater and another doorman took over the line. I looked over at Darren, who gave me a shrug and stuck his hands in the pockets of his parka. Three of the longest minutes ever passed before Big Guy came back. Behind him was a smaller man dressed in loafers, slacks, and a collared shirt. I took him for the manager, and he came straight at me. “Who are you supposed to be with?” he asked sharply. “Trisha Weaver,” I said, intimidated as hell. “It’s not gonna happen,” he said firmly. He went back inside. Minutes passed. I felt betrayed. Not by my friend, but by the string of fortuitous events that rained down during the past week; taunting me with the false promise of glory. Darren said nothing, nor did he move. The two of us lingered in silence, Darren pacing every so often to keep warm in the cool, early morning air. I was pretty sure Prince wasn’t on stage yet, but I could hear random cheering from inside. The wind and echoes of the night made it all the more hopeless. At first I thought Big Guy was going to kick us off the property for loitering. But instead, he pushed open one of the double doors and leaned out of it. We nodded, then followed him up the staircase to the balcony. Reaching the top, we veered right and entered the auditorium. I was relieved to find that the show hadn’t started. Our host led us to the front row with a clear view of the stage. “Enjoy the show, guys.” And he was gone. Minutes later, the house lights dimmed. Co-creator of The Music Snobs Podcast, tech honcho at Chicago Jazz Philharmonic, and verifiable geek.